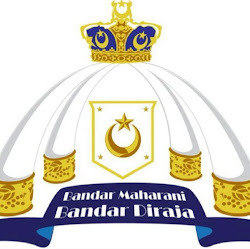 AS a Muarian, I felt very proud when HRH Sultan Ibrahim of Johor on Feb 6, 2012 proclaimed Bandar Maharani a royal town. The 128-year-old town looks rather tired, is too laid-back, and in dire need of a facelift. Sultan Ibrahim is passionate in preserving history and maintaining a clean and healthy environment in Johor. Prior to 1877, the territory of Muar north of the river was known as Muar Kesang, and its south as Muar Padang. Sultan Ali ceded the government and territory of Johor except Kesang to Temenggong Ibrahim on March 10, 1855. After Sultan Ali's demise in 1872 and following internal conflicts and for political expediency the British chose Maharaja Abu Bakar to take guardianship of the territory. 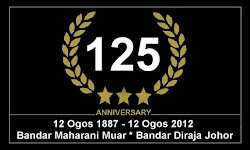 In 1877, the chieftains of Muar unanimously agreed to the appointment. Abu Bakar was proclaimed Ruler of Kesang in 1879. 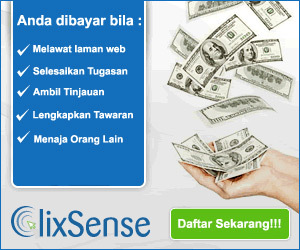 This was met with fierce resistance from Tengku Alam the heir. 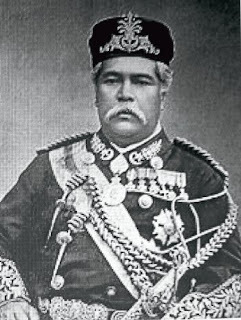 A 30-day civil war known as "The Jementah War" ensued but was quelled by Abu Bakar's forces led by Mohammad Salleh bin Perang, more famously known as Dato' Bentara Luar. In 1884, Abu Bakar declared Muar the capital of the expanded district. Salleh, a qualified surveyor, was asked by Abu Bakar to plan for the development of Muar. Abu Bakar was wary of British forward movement. He was desirous of making Muar a showpiece to the British of his effective governance and management of his State. He was so proud of Muar he named it Bandar Maharani (literally, a queen's town) in honour of his Consort Maharani Fatimah at a simple ceremony on Aug 5, 1887 at Tangga Batu, where he buried an amulet. Sultan Abu Bakar spearheaded the development of Johor through the Kangchu system. Maharaja Abu Bakar encouraged migration to increase the population of Muar. In 1880, the Javanese settled in Padang (now known as Mukim Parit Bakar) where they were engaged in agricultural activities. Evidence show the Chinese had settled in Muar in 1870. They were engaged in commercial fishing and cultivation of pepper and gambier. In 1886, Indian immigrants settled in Muar to work in the public works department as well as in small trades. The close relationship and harmony of the town dwellers is evident to this day. Development began as early as 1884, when additional police stations known as rumah pasong were built to upkeep law and order. In 1890, a detachment of the JMF was stationed at Fort Tanjong to assist the police. In 1886, a courthouse was built. Salleh constructed a wooden building to house the government's administrative offices including the office of the State Commissioner, the treasury, the education and religious departments, agriculture, land survey, and public works. In 1915, a concrete building based on the then-popular neo-classical design was constructed on its site and is now known as Bangunan Sultan Abu Bakar. Another building based on similar design is the courthouse. Abu Bakar commissioned a light railway connecting Padang to the port of Muar to facilitate trade. A customs department and a harbourmaster's office were set up. The transformation of economic and socio-political development saw other departments being established by 1901 including a hospital, a post office, a railway department, and water works. A galvanised iron market with a circular roof designed by R. Bidewell was constructed. In 1911, a Town Board was established for urban planning, infrastructure and welfare. 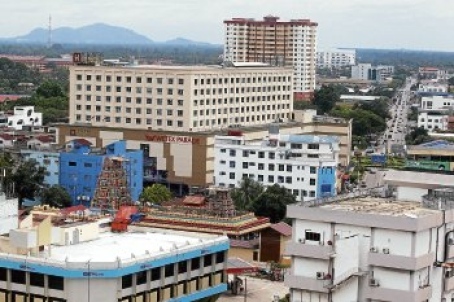 Education played an important part in the development of Muar. Abu Bakar was regarded as the promoter and encourager of education. In 1890, Muar had three Malay schools. In 1897, a government English school with 40 pupils was set up at Fort Tanjong. The school moved to various temporary sites including in 1899 to "Balai Kuning", a tented building used during Abu Bakar's visit and now the site of the court house. In 1903, the school was housed in the residence of J.C. Campbell the superintendent of the Muar State Railway. It finally moved to its present site in 1915. It is now known as Muar High School, an alma mater for many leading lights of the nation. Maharaja Abu Bakar was proud to show the town to his guests including the Duke of Sutherland in 1889. His love for the town which he described as more of an English village than an Oriental town is evident in his five visits between 1887 and 1895 and stayed a total of 65 days there. He held his last Ascension Day (Hari Kerajaan) in Muar on Jan 31, 1895, the first time such an auspicious ceremony was held outside Istana Besar in Johor Baru. HRH Sultan Ibrahim's love for Muar is seen as an extension of Abu Bakar's pride. It is now up to the town fathers and its dwellers to be committed and realise the Sultan's expectations. Quality of life of its citizens must be improved. Cleanliness is a priority, followed by a more efficient traffic dispersal system, providing more recreational facilities, establishing a museum to house its history, and exploiting the culinary food items Muar is famous for. A monument should be erected at Tangga Batu the original nucleus used by Salleh to plan the town. 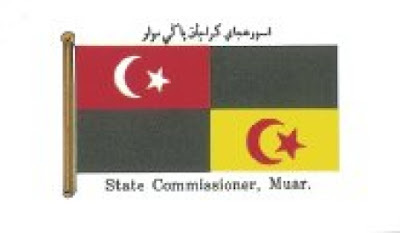 Flag of the State Commissioner of Muar that was designed by Sultan Abu Bakar. And keep the flag of the State Commissioner of Muar designed by Abu Bakar flying proudly over the royal town. Bird’s eye view of Muar, also known as Bandar Maharani.